The Central Jersey Theory is It Real? Dear Super PAC Super Mailing List, Hey, Jon again. I'm writing this on my iPad so please foghorn me if I make any spoiling eras. The Definitely Not Coordinating With Stephen Colbert Super PAC put out another ad today, and it's our noncoordinatingliest one yet. Weird – I didn't expect the iPad to accept the word "noncoordinatingliest." I must be getting better at typing on this thing. 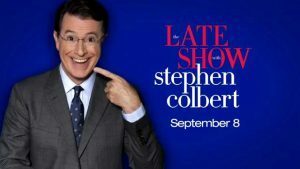 THE UNITED STATE OF SOUTH CAROLINA – The Definitely Not Coordinating With Stephen Colbert Super PAC has released another television commercial in advance of the South Carolina GOP Primary, which most experts agree will be held on Saturday. 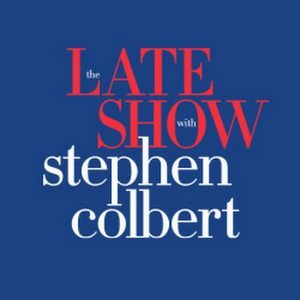 The negative ad, entitled "Modern Stage Combat," goes after the one man whose recent surge in popularity poses the greatest threat to the status quo: Stephen Colbert. "If we were coordinating with Stephen Colbert, why would we release an attack ad against him?" said Jon Stewart, President For Life For Now of The Definitely Not Coordinating With Stephen Colbert Super PAC. 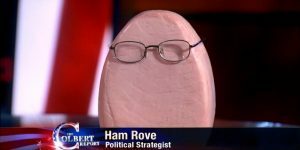 "Although, since he's such a smart, charismatic, natural leader, it was a little difficult to find reasons to go after him. But we did, and we think this powerful commercial will win over some of the 'Anybody-But-Stephen' voters." The ad begins airing tomorrow in South Carolina in an antiquated medium known "tele-vision." A version in a more newfangled format can be found here. 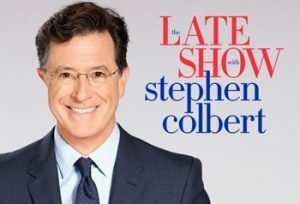 Americans for a Better Tomorrow, Tomorrow, also known as The Definitely Not Coordinating With Stephen Colbert Super PAC, is dedicated to finding new and innovative ways to use the Citizens United ruling to divide citizenry.